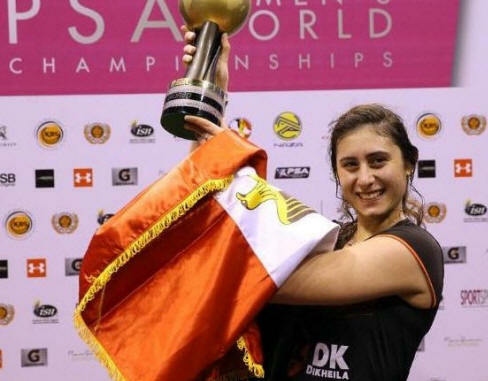 Seven years after becoming the youngest ever world junior champion - 2009 Chennai at the age of 13 - and two years after losing out 11/9 in the fifth in the senior world final - in Malaysia - Nour El Sherbini became the youngest ever women's world champion as she avenged that 2014 defeat by coming from two games down to beat world number one Laura Massaro. 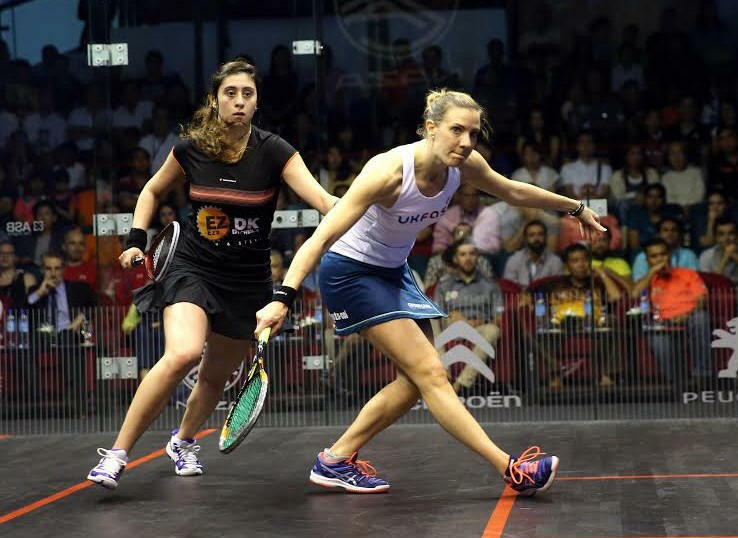 The Englishwoman took early charge with Sherbini's movement not up to her beat, but she came back strongly to take the third and fourth games to set up a decider. 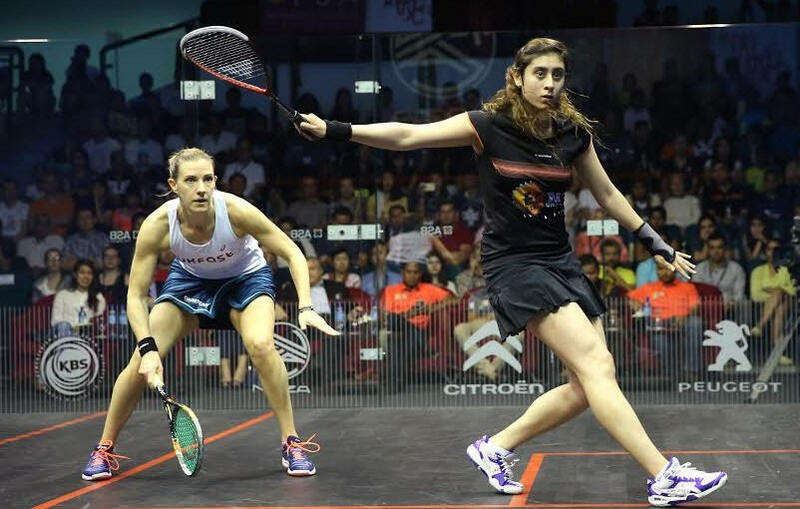 Sherbini maintained the momentum to lead 7-4 but now it was Massaro;s turn to fight back as she levelled 8-all. 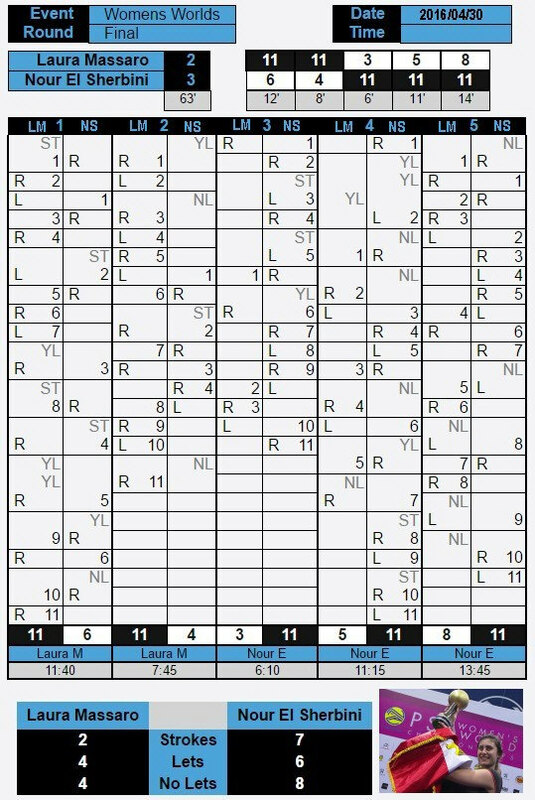 The final swing of momentum went Sherbini's way as, in a reversal of the end of their 2014 final, it was Massaro this time denied lets and Sherbini needed just one opportunity to close out the match. 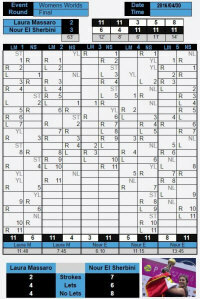 The win also means that Sherbini will become world number one when the May rankings are released. 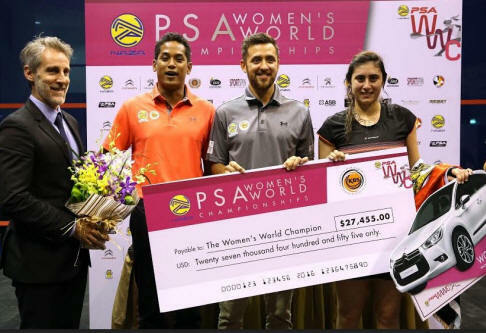 "I'm dreaming right now, I didn't imagine I could win this match," said El Sherbini. "At 2-0 down I though it was over, Shabana just kept telling me to focus and play squash and forget about the score and start again." 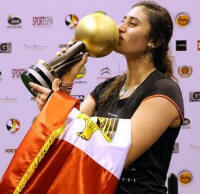 "I want to say thanks to the Egypt team and everyone here for all the support that pushed me to the end. 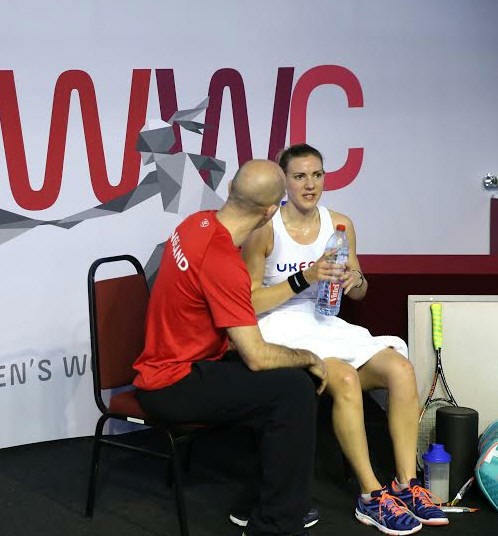 Laura is a very tough player and even until the end I didn't think I could do it." 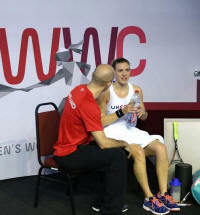 Massaro was gracious in defeat and was full of praise for the new World Champion. "It's an honour and privilege to play in a World Championship final, it's the pinnacle of our year," she said. "I’m obviously disappointed to lose but she played an amazing match from 2-0 down. I have to take it on the chin and come back again.